Your Lucky Day to Register & Play | SBOBitcoin| Value Your Bitcoin with Asian Handicap! Register to play in SBOBET, IBCBET & Pinnacle Sports! 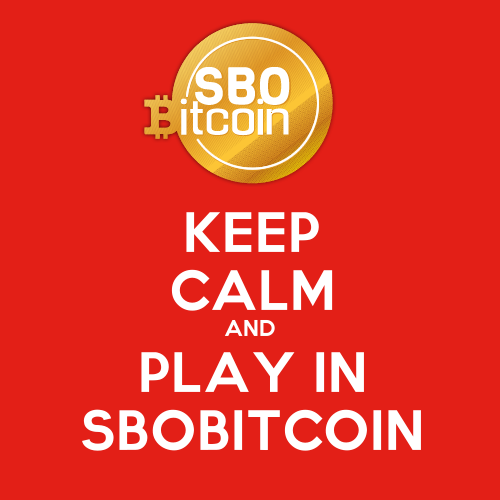 To protect our customers from their daily fluctuating bitcoin price, SBO Bitcoin adopts the same rate when depositing and withdrawing bitcoins for game credits. Deposit 1BTC = 5000 HKD. An email notification will be sent to you shortly after registration. All information submitted are kept private and secured. We are online 24/7, chat with us. We’d love to hear from you!